The weather is heating up and that means it’s time for summer treats that cool you down! 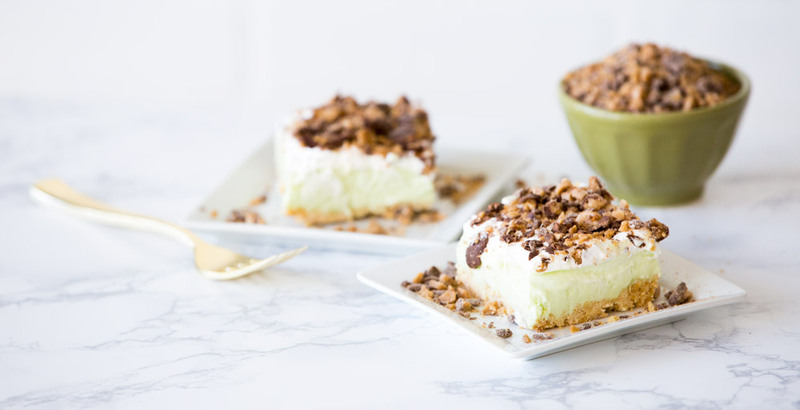 A trip to the ice cream parlor is always a fan favorite, but why leave the comfort of home when you can create your own sweet and dreamy masterpiece? 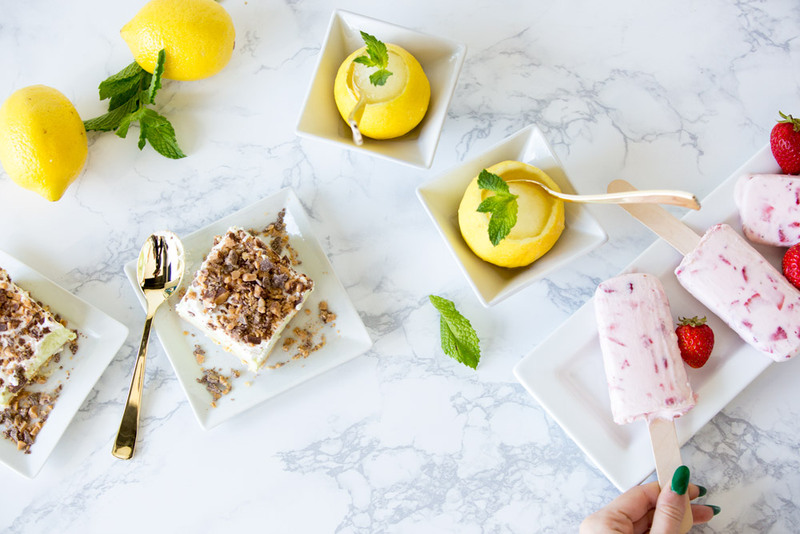 Whether you’re a fan of classic strawberries and cream, bright crisp sorbet, or indulgent pistachio bars, we have just the treat for you! Each recipe is inspired by a Scentsy fragrance and is as tasty as the last. Go ahead, satisfy those hot summer-day cravings! Try one (or all three!) for National Ice Cream day July 16! Add cream, powdered sugar, lemon juice, lemon zest and sugar. Process until well combined. Pour mixture into popsicle molds and push popsicle sticks about 2/3 of the way into each (I recommend getting wooden sticks, as they tend to grip the mixture better and don’t come out when you are trying to unmold the popsicles). 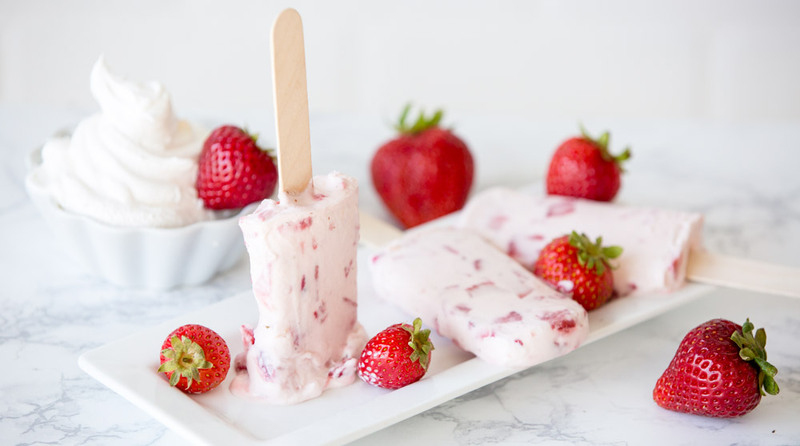 Like this creamy strawberry treat? Then you’ll love Strawberry Swirl! Juice lemons. Save halves for serving. Unless you destroy them while juicing like I did. In a small saucepan over medium heat, combine the water, sugar, and lemon zest. Stir well. Bring to a boil, then reduce heat to medium and simmer for 3 minutes. Remove from heat and allow to cool. Strain cooled water, sugar, and lemon zest mixture into a bowl. Stir in 2 cups of freshly squeezed lemon juice and the 1/2 cup of lemon-lime soda. Transfer to a 9 x 13 metal baking plan. Place in freezer (for 2-4 hours). Stir with fork every half hour. 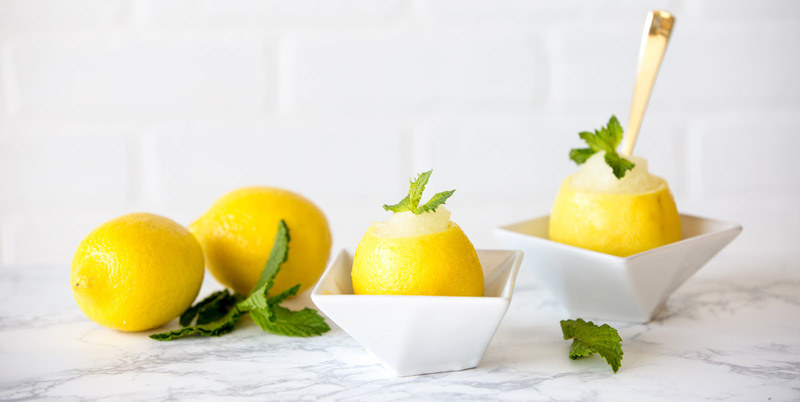 Scoop into lemon half, garnish with mint … Enjoy! If you’re a fan of refreshing and sweet, try our Lemon Sorbet! In a small bowl, combine cracker crumbs and butter. Press into an ungreased 9-in. square baking pan. Bake at 325° for 7-10 minutes or until lightly browned. Cool on a wire rack. Meanwhile, in a large bowl, whisk milk and pudding mix for 2 minutes (mixture will be thick). Stir in ice cream; pour over crust. Cover and freeze for 2 hours or until firm. Spread with whipped topping; sprinkle with crushed candy bars. Cover and freeze for 1 hour or until firm. Do you desire the downright decadent? Pistachio Ice Cream is the fragrance for you! It’s hard to go wrong with anything ice cream. We hope you enjoy creating and devouring these recipes as much as we did! Tell us, how will you be celebrating National Ice Cream Day? Show us your version of these recipes using #ScentsySnapshot!